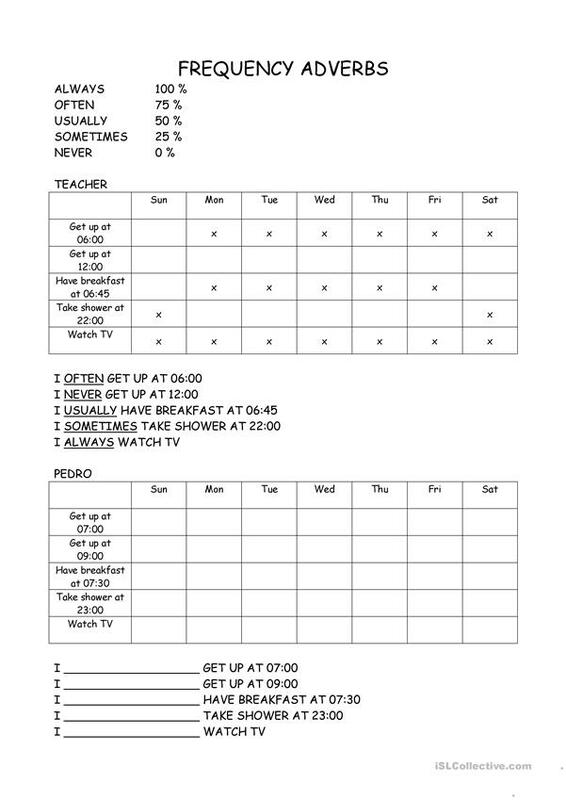 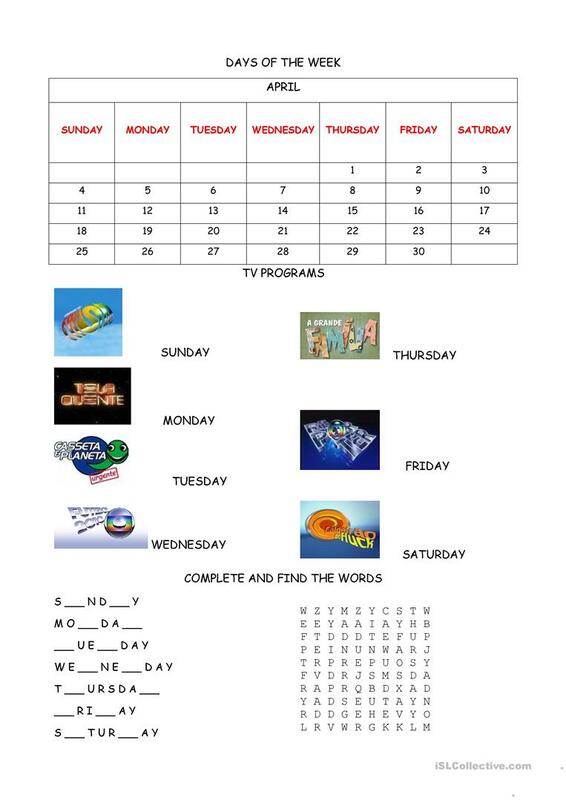 Worksheet about routine including frequency adverbs, days of the week, 3 person "s". 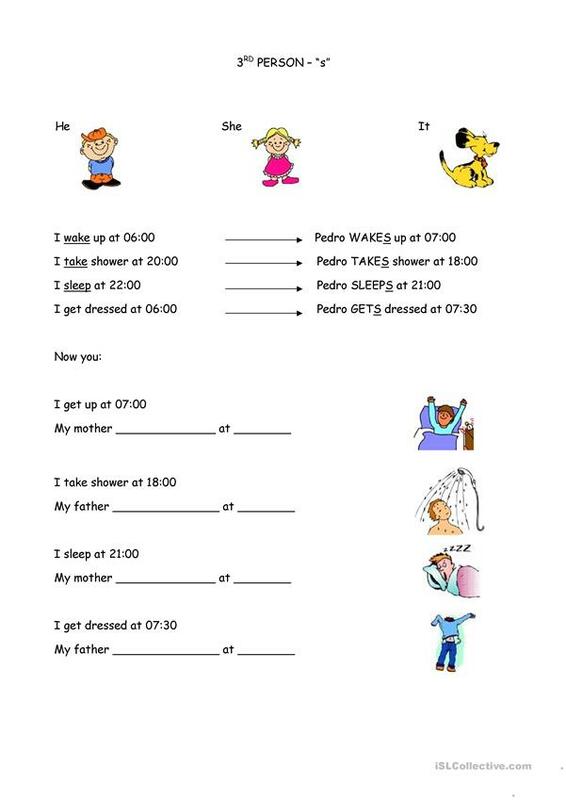 This downloadable teaching material is best suited for high school students, elementary school students and kindergartners and nursery school students at Beginner (pre-A1), Elementary (A1) and Pre-intermediate (A2) level. 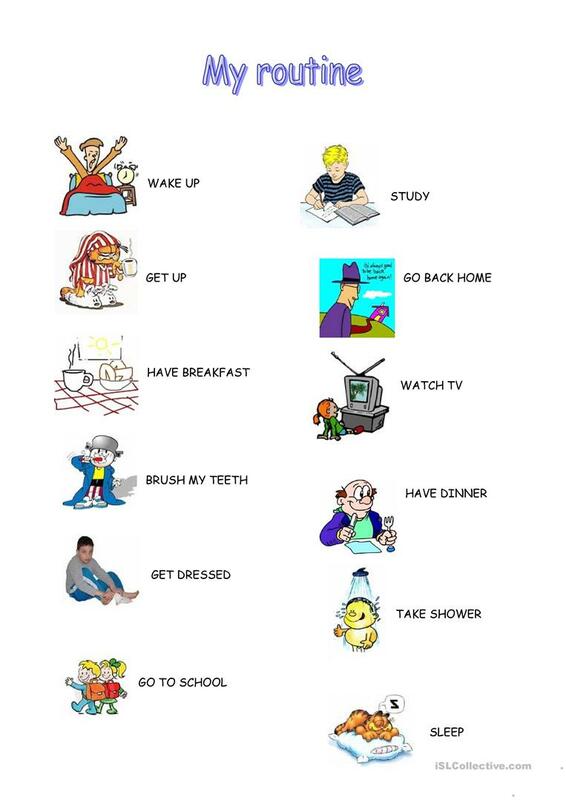 It was designed for developing your groups' Reading and Writing skills. 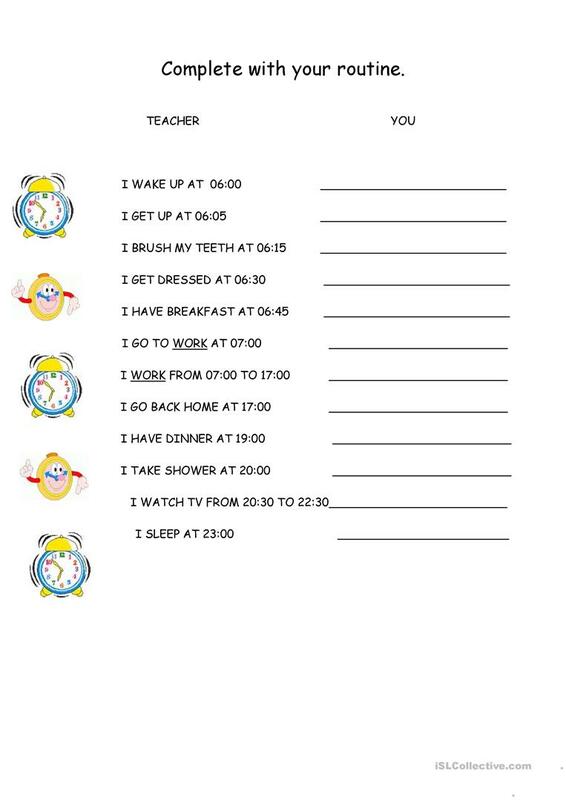 It is focused on the topic and words of Daily routines.